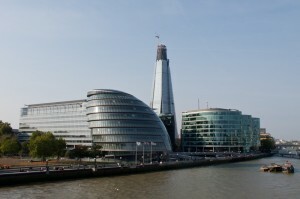 Situated on the south bank of the River Thames, Southwark or SE1, as known by most people, is part of Central London. Its popularity can be measured nowadays by the great number of workers, students and inhabitants: almost 240.000 per year. Tourists have plenty of interesting touristic attractions as well, good restaurants and other entertaining possibilities, like theatres, museums, fun houses and arenas. You will find below some warm recommendations and a short description, so that you can make the perfect outdoor plan, suitable to each pocket. If you have decided to take your next holiday in London, you will be pleased to hear that there are several hotels right in the heart of Southwark (SE1). For the most pretentious customers, 5 starts accommodations like London Marriott Hotel County Hall (with beautiful views of the Houses of Parliament, spa and nearby tourist attractions: London Eye, Buckingham Palace, etc.) are the perfect solution. If you want comfort at a reasonable price, try the 3 and 4 starts hotels. The Bermondsey Square Hotel, Hilton London Tower Bridge and CitizenM London Bankside are just some examples. Visitors that have a tight budget can choose appropriate dwellings like: Bankside House or Butler’s Wharf Residence. Once you have decided on a location, it is time to start visiting this beautiful central area. You can begin with a tour through the art galleries or with its most famous museums: Tate Modern (modern art masterpieces), Imperial War Museum (re-opening in 2014), London Film Museum (British cinematographic exhibitions) and Design Museum (20th and 21st century fashion items). You can dedicate another day to fun activities, ranging from games to 3D experiences. London Dungeon is represented by a 90 minutes tour, in which you are witness to a linear story of almost 1000 years of history. The London Bridge Experience might give you the chills, with its Hollywood-like special effects of historic artifacts and human remains. Other examples are Namco Funscape (for games addicts) and The Sea Life London Aquarium (famous in all Europe). In the evening you might want to go at the theatre or maybe listen to a concert. Places like The National Theatre, Royal Festival Hall and Shakespeare’s Globe are the most representative choices of inhabitants and visitors all the same. In order to get rail transport from London Luton Airport to Southwark (SE1), you will have to take the Luton Airport Bus for 6 minutes or so (that comes every other 10 minutes) and then the train from Luton Airport Parkway (every 20 minutes). You can also choose the Luton Airport Bus (every 10 minutes) and then the one from Marylebone, Baker Street that arrives every 5 minutes. The total journey would take about 1 hour by train or by bus. You could also take a transfer from Luton Airport to Southwark. So as to travel by car from London Luton Airport to Southwark (SE1), you must take the M1 or the M25. London Luton Airport is 35.5 miles away from Southwark (SE1). A journey by transfer from London Luton Airport to Southwark (SE1) with 247 Luton Airport Transfer is going to last around 1 hour and 28 minutes. The price for a transfer service from London Luton Airport to Southwark (SE1) starts from 57 GBP.